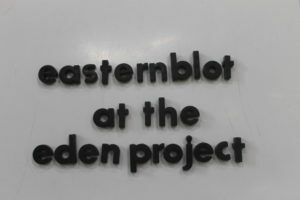 I visited the Eden Project recently, after several people recommended it. I was prepared to be educated about nature and sustainability (see my Finch and Pea post), but I wasn’t expecting food to be such a big part of my visit. 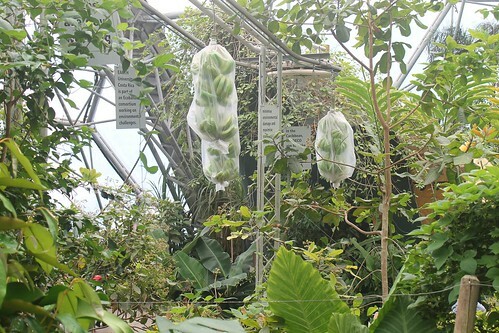 The rainforest biome emphasizes the many foods that originate in the rainforest, probably to make people aware of the global importanceof this ecosystem. It might be far away, but it affects our lives. 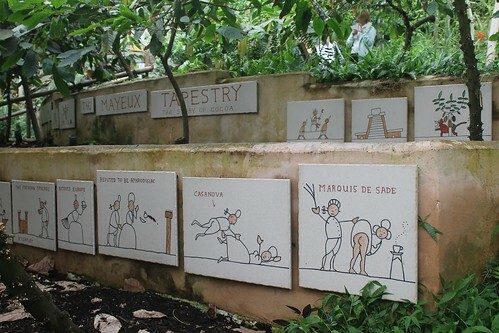 Nowhere was this more visible than in the “mayeux tapestry”, which showed the history of chocolate. Coffee also got a lot of attention. Coffee. Chocolate. I started to realize that a lot of my favourite foods were from this climate. 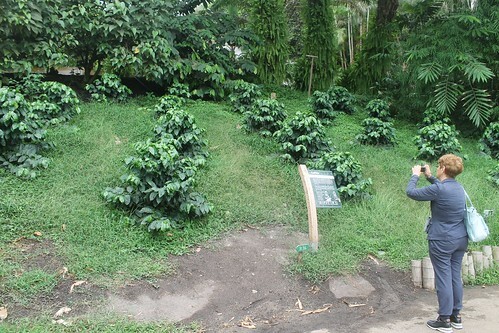 There was an area about vanilla, explaining that they need to be fertilized by hand to be farmed. There was mango section. 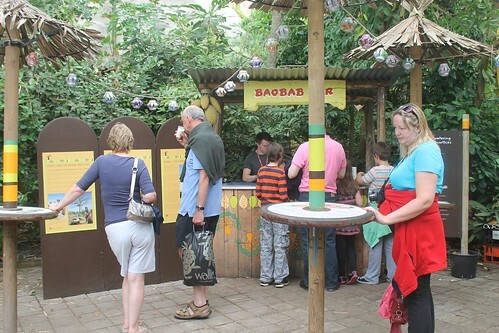 There was a Baobab smoothie bar and a banana belt. 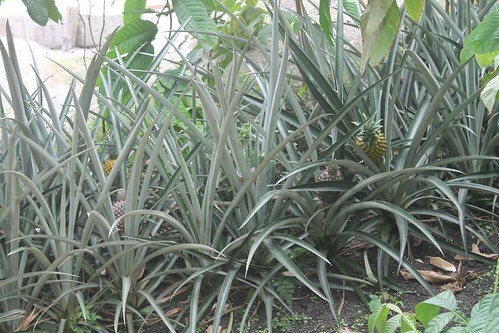 I also learned how pineapples grow. I had never seen it before, which made me feel a bit dumb. How could I not know what they looked like on the plant? 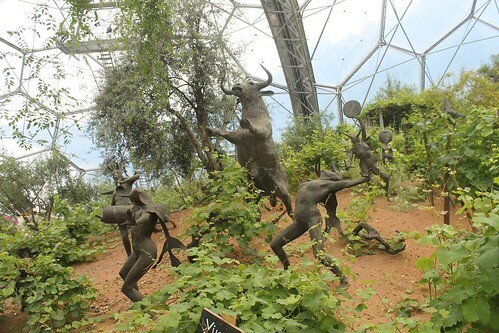 The Mediterranean climate biome was even more blatantly food-themed. There was a cafe right in the biome, and the most central area was a vineyard bordering a citrus grove. 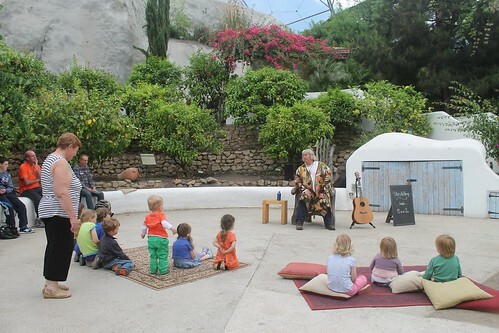 The storytelling session was about mangoes. 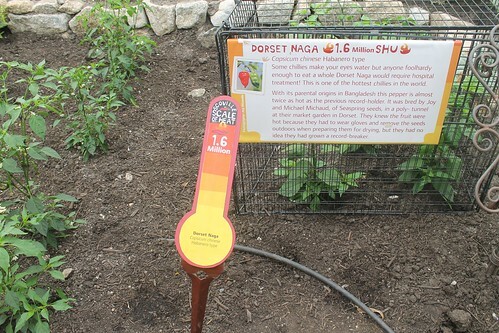 There was also a section with chili plants, including the very hottest chili ever. It had to be in a cage! 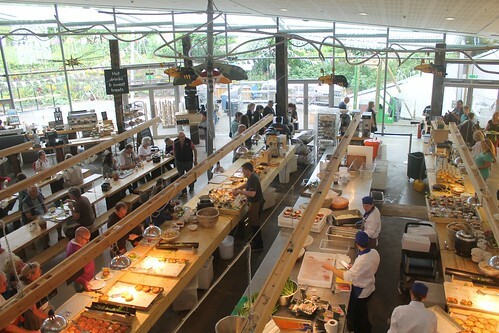 After all those food-themed exhibits, luckily there was also a restaurant on site, in between the two biomes. I wasn’t that hungry because the rainforest was so warm, so I only had soup, but the rest looked good, too. 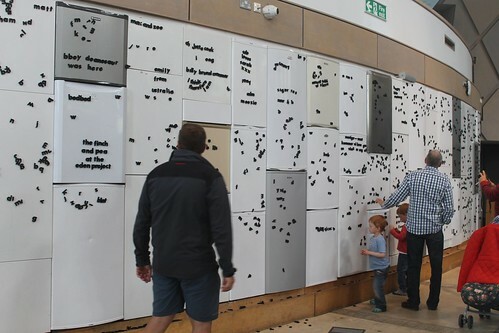 The fridge magnet art above was done in The Core, the on-site educational hub, which had a HUGE wall of refrigerator doors with magnets. 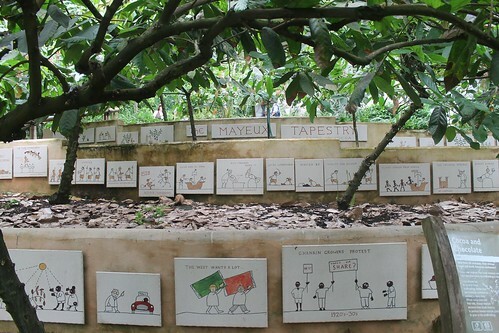 For a less food-centric report from the Eden Project, see my post on The Finch and Pea. Why the hype about eating insects? Google trend sleuthing to the rescue.